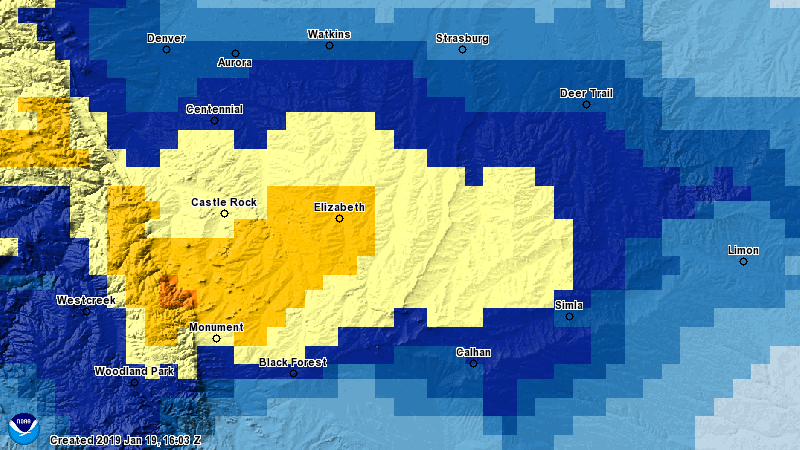 Yesterday’s storm was a surprise for a lot of us along the Palmer Divide. If you lived outside that area you saw little to no snow at all, but we got hammered for lack of a better term. I’d like to put a more detailed look up about this storm… while it was a surprise to a lot of us the clues were there before the storm. It looks like even if those were picked up, the probabilities of those things coming together were so low that they were discounted. If you’ve followed me long enough you know I love to analyze forecasts that I get wrong. Expect that article in the next day or two with more detailed snow amounts as well from NWS and CoCoRahs. For now, all eyes ahead to our next storm moving in on Monday… details about that one coming soon!